My problem is that my iPad is not recognized by my MacBook. Other iOS devices are recognised normally by the very same MacBook. The iPad charges, but nothing else works. When I try deleting all files on my iPad (Settings > General > Reset > Erase All Content and Settings), it freezes (spinning weel until "out-of-charge") and nothing happens until I restart using the Home and Power buttons. It should be noted that the same issue occurs using other Macs or PCs. So my guess would be that the Jailbreak corrupted some essential files for syncing?! This is an edit in response to bmike's comment. The System Profiler shows me these settings. Kovah mentioned that the version of iTunes could be the issue. I have downgraded my iTunes to version 9.2.1 and did not solve the issue. We had some customers in our store with similar problems. Mainly they came with an iPhone 2 / 3 and asked for help because their Macs won't recognize them. Some (not all devices!) worked on an older Mac with OSX < 10.7 and a lower iTunes version. If you have a friend or family member with an older Mac try to connect to this one. If it's not working I would say the iPad is "bricked". First, you should never reset all content and settings on a jailbroken device (trust me. I did it before. I had to restore it). All it will accomplish is get your device in trouble. If that turns out OK, then slowly install your tweaks, one by one. Have you tried your iPad in another computer - maybe friends PC/Mac? Don't sync as this can erase your iPad, but it would show if the other machine can see your iPad. This would then help you understand if the problem lies with the iPad or your Mac. Good luck! Ensure that your Mac meets the minimum system requirements for your iPhone, iPad, or iPod touch. Install software updates on your Mac. Note: If an iTunes update is available, apply the update. Check USB connections. iOS devices require USB 2.0 to function properly. 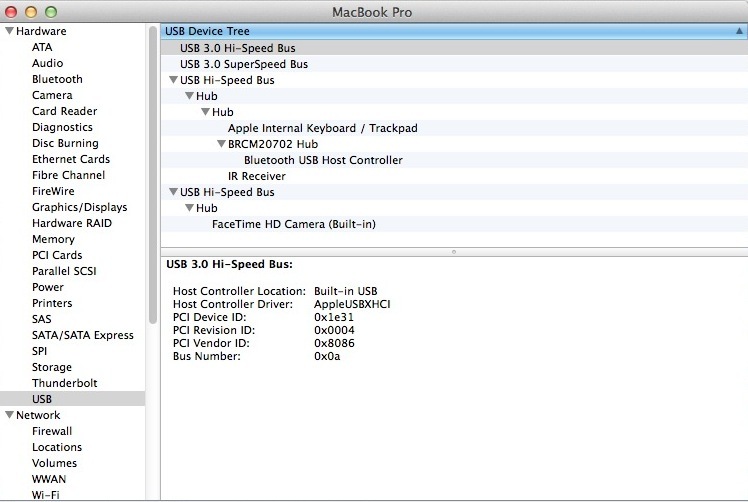 If you're not sure your Mac has USB 2.0 ports, refer to the computer's specifications. Disconnect other USB devices and connect your device directly to a USB port on your Mac. Not the answer you're looking for? Browse other questions tagged itunes macbook ipad data-synchronization jailbreak .